Here is our advise on how to wear brooches, what places and on what occasions. Brooches are an excellent way to accessorise yourself and to add that final touch that will complete your look. It is important to make the right choice, though, and with hundreds of designs on offer, it may seem to be a daunting task. In this guide we will give you very useful tips on when and how to wear a brooch. A brooch is a fashion decorative accessory that usually attaches to clothes with a rotating pin clasp. A pin is usually a smaller brooch that attaches with a small sharpened rod and push-on safety clasp, but some use the rotating rod with a clasp, similar to that of brooches. Pins and brooches are traditionally worn on clothes such as jackets, shirts, dresses, sweaters and hats. In the older days brooches were used to hold clothing together. Brooches come in different designs and are made from different materials, including Swarovski crystals, feathers, plastic stones, sea shells, pearls and pearl imitations. Bronze, copper, pewter, steel and silver are used to make brooches' base or be the only ingredient in the brooch design. A fashion brooch with a good design oftentimes looks better than an expensive gold and diamonds brooch. From simple and practical to elaborate and eccentric brooches have a potential to inspire many. Brooches are among the few jewellery categories that almost don't have any size limits. The smallest pins on a lapel may be a common thing, but the gigantic brooches seen on the recent fashion shows is a manifestation of the unleashed designer's creativity that really has no limits and can inspire even the ones who's "seen it all". When it's time to be all glamorous, we look for a designer dress, an exquisite handbag, a knockout clutch, a hot pair of heels or beautiful jewellery. But besides the regular accessories like necklaces, rings, bracelets and earrings, let's not forget the often overlooked brooch or pin, which can spice up any look from classic to contemporary. A brooch is like a magic touch from a fairy godmother, it either can make you look stylish or foolish. Make it too large, and people won't notice your face, make it too small and people won't notice any difference if didn't have one. Put a heavy brooch on a thin dress and you're asking for unattractive saggy creases, put an elaborate and colourful-too-much brooch on a formal dress and you'll attract unwelcome attention. Most people like to wear brooches as a fashion accessory that keeps them with the fashion trend or just to make their outfit more appealing. One thing is for sure - a brooch will make you stand out. Brooches have always been an essential part of anyone's wardrobe. Get yourself a good collection and you will be prepared for any occasion. If you don't already own any brooches, it's never late to start one. Every woman should have several brooches to go with different looks, but in any case, at least one for the formal dress and another for casualwear. Think of the last time when you dressed-up. If you don't wear jewellery much and find it hard to find yourself a ring to match or earrings that aren't too heavy, then a brooch could be a solution. You don't wear it directly on your body and hence there is a greater field for experimentation: put it on a dress, jeans, jacket or shoes - see where you like it the most. If you already have a small collection, there's always room to expand it (if only my jewellery box can take it all in:). New designs are coming out all the time and there's usually just that one that you can't take your eyes off and which you know will look so good with that dress which you just bought. Thank goodness that someone somewhere has invented fashion jewellery so that we don't have to re-mortgage our houses to accessorise. You can avoid wearing a solid gold and diamonds brooch unless you're receiving an Oscar. Fashion pins and brooches look identical to the much more expensive cousins, but won't cost you an arm and a leg. With brooches as cheap as 5 pounds (or 7 dollars) there's no excuse not owe one! Our range of brooches represents a big variety of tastes, styles, colours and prices. Take your time and choose the one that is truly yours and you'll be rewarded with complements from everyone around you. Keep in mind that brooches and pins are more noticeable if they contrast with the background. Bright garments ask for black and dark-coloured brooches, while silver and diamante brooches will look best on black or dark coloured clothes; so if you really want your fashion brooch to stand out - remember this simple rule. Don't force yourself to wear something that you aren't comfortable with. Do: Ask for a friend's advise or get a stylist if you are completely lost for choice of your jewellery. Don't disregard the impact you could make if you choose the right accessories. Do: Spend some time when choosing a brooch, compare similar style brooches, pay attention to the general feel of it. Don't buy a brooch if it doesn't match any of your clothes. Brooch is an accessory for a dress, not the other way. Don't be afraid to add new brooches to your collection and give the old ones away. Don't blindly follow the latest trends. If you work in the office you need a brooch that reflects style and sophistication. It could be small to medium size brooches, not too "in your face". Silver or gold coloured with faux pearls or diamante will go nicely on your darker jacket or choose the ones based on black metal to go on your light coloured shirt or blouse. To look elegant and lady-like for the day, a classic look is a skirt suit accessorised with pearls. A faux pearl brooch with matching necklace or stud earrings are classic enough for a conservative office. If you are getting ready for a party with friends, choose a funky brooch that would be especially noticeable in the dark. Big and chunky ones will make even bigger effect. Polished gold, silver and rhodium plated jewellery will reflect the most light and when combined with large and numerous rhinestones will outshine everyone else! If you are the kind of person that don't like going out much and always looking for an excuse to stay home then a brooch won't help you much, unless of course you're organizing a home party and inviting everybody in. In this case you've got the luxury of changing brooches (and other jewellery) several times during the evening - it's a perfect occasion to show off your gorgeous collection and make everyone jealous! Get that ladylike, demure look by accessorizing your little black dress with a strategically placed pearls in form of a flower. If your dress is too big - just gather the extra fabric in the back (like from the bust, because you need that to fit) and pin it with the brooch. Lapel is a traditional place to wear brooches and pins. This is the most versatile place where you can put pieces of any type, size or colour. Let your imagination go wild and your personality shine! Combine several commonly themed ones into a cluster. Make a good use of the oversized, classic wreath, pearl or enamel, multicoloured or charm brooches. There really are no limits! Looking to complete the look? Place a medium sized geometric brooch near the collar of your shirt or a blouse, to join both ends of the fabric. Try matching or contrasting the brooch colour to the colour of your eyes. Almost any cardigan welcomes to wear charm brooches. Sophisticated brooches with loads of elements, perhaps in boho style, will serve as a good decoration to your button top or a sweater. Also choose a victorian or vintage cameo brooch. To add a little sparkle to your ponytail attach a brooch to a plain ponytail holder and tie up your hair as you would normally do. 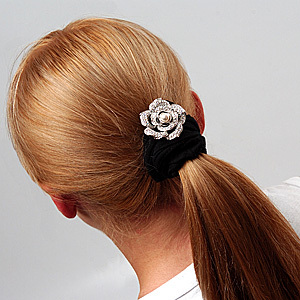 If you put your hair up in a bun or French twist, secure the brooch or pin to a hair comb or a large clip. Easy, simple, yet totally stunning! If you wear bandanas, don't forget to decorate them. A gorgeous Swarovski crystal pin will emphasize your gorgeous hair. Choose any size, but make sure it's not too heavy to be a nuisance, pulling your bandana constantly to one side. If you are used to wearing large rings and have to wear gloves, choose a brooch instead. 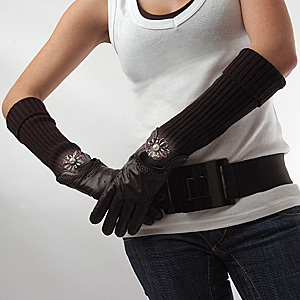 It will go nicely on the back of your glove wrist. Choose the brooch in the same way would choose a ring: large enough to attract attention, but small enough not to get in your way. 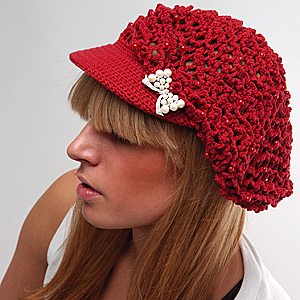 Re-define the look of your hat. Pick your favourite brooch and stick it onto your a plain-coloured hat to create a signature piece that looks great. For ones in crochet a pearl bow or your special brooch is a good match. 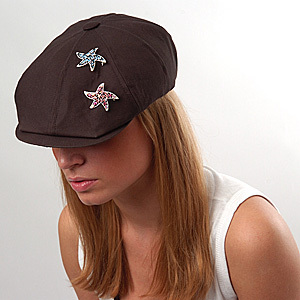 The classic black beret takes another meaning when you colourise it with several pins. For a modest extra sparkle attach diamante brooch in matching colours. Scarves are known for their versatility of wearing: tie your hair, cover your head or neck, turn it into a skirt or even a top. Use a brooch to hold it in one piece and in it's place. Add buckets of glitz and glam to your denims. Shimmering crystals and Cubic Zirconia will look good an any jeans. If you do not already have a sequin-clad pair, a brooch with multiple crystals provides an easy way to add sparkles and glitter. Funky brooches have their place on jeans also. Place them strategically to attract even more attention. Add an impressive, spangled look to your shoes. Attach plain-coloured abstract brooches or funky multi-coloured pins to the band or near the seam for rigidity, and you have an instant pair of jewelled footwear. Try different, but similarly styled brooches for the left and right shoe. Add interest to a plain skirt. A large floral brooch can make a big difference to your plain skirt. Place it in the middle or to your side, whichever suits the style. Look for floral enamelled pins or classic pearl-style costume jewels. 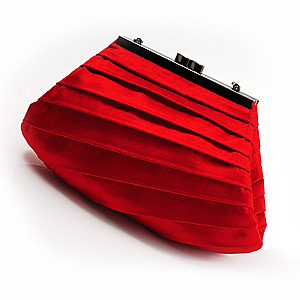 Do you have a fabric clutch or a bag that been lying around for a while? Or, perhaps, you want to give a makeover to your favourite one? 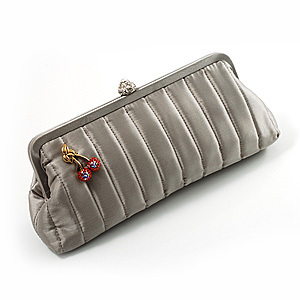 For your personal style, you can add pins and brooches to make it unique, but be sure to choose ones that are smooth on the top to avoid snagging with your bag. 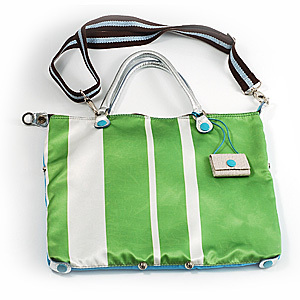 Do you have a plain bag that looks rather dull? 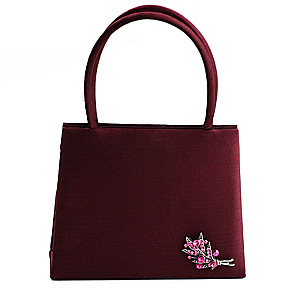 Add one simple floral brooch to the corner or place it right at the center to glam up the bag and give it a second life. 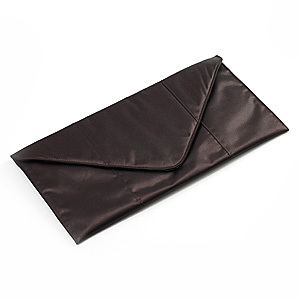 Black always speaks of style and sophistication. Add an equally stylish brooch to lift off any dull notes and add more sophistication and dynamism. 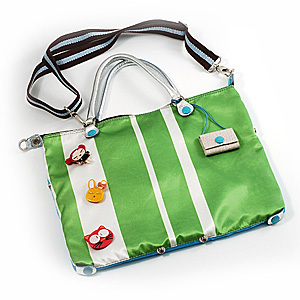 Add more zing to your funky bag. 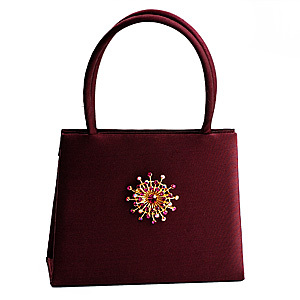 Several colourful brooches scattered across the bag will add more personality and interest. 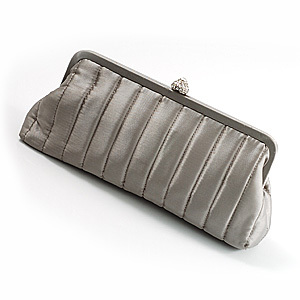 A plain silver bag like this looks good already on its own. 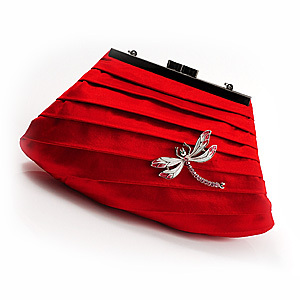 Add a medium sized brooch in simple contrasting or matching colours for the maximum impact! Get yourself several brooches and swap them depending on your mood or the occasion. 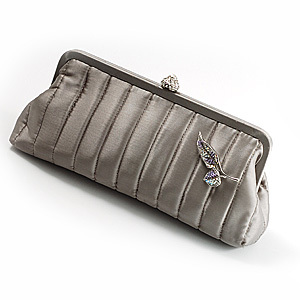 Pick any bag or clutch and put your favourite brooch on it. Don't be afraid to experiment and be adventurous to create your own and unique style! Other Ways to wear a brooch. Attach a chain or a cord to your brooch and voila! - you've got yourself a pendant! ...and don't be afraid of mixing metals. Some people even wear one as a ring, just pin it to a thin gold or silver ring - it will certainly attract attention! Yo may have a belt with a jewelled buckle, if not - attach a diamante brooch to your rather dull belt to transform it into a head turner. Use it with any loose, unflattering dress - it will suddenly take an hourglass shape with the addition of the glamourised belt. Try scattering several brooches over a jacket or a plain dress. Pin on a sleeve, another on a shoulder, yet another on the lapel and still another on a pocket. 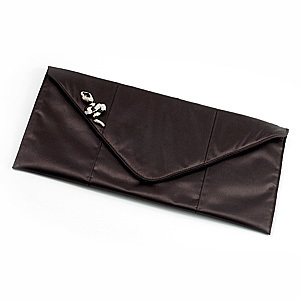 Wear a cluster of them placed strategically around the collarbone area of a jacket or a dress. Multiple brooches, though, should have some vague relationship, like flower or abstract shapes. Keep other accessories minimal: get rid of the necklace or wear only a simple one, earrings should not be too dominant or eliminate them completely. Pin a brooch at the bottom of a V-neck. This will draw the attention to your bust line. Add a special touch to your wedding or birthday cake. Attach a corsage or wreath brooch to the ribbon surrounding the cake to create extra peppiness. Affix it to your key chain. 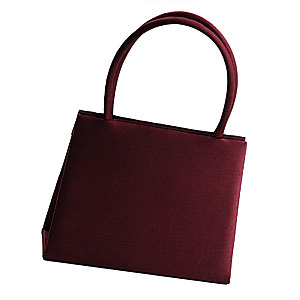 Secure it to your purse. Pin them on a cloth bracelet. Now that you have plenty more ways to wear them - go and get yourself some more beautiful brooches from Avalaya! Please feel free to suggest a new way to wear a brooch.